"In a perfect world, the Union soldiers are all gone. But is there a plan in place for what to do when/if developers find body parts? Do archaeologists and historians get some chance to save what they can of whatever’s there?" "How is it that we're in this secret process in the first place?" Cooper said in an interview with The Tennessean. "This property is a heritage jewel for Nashville. ... And how it is 'up' for a development award is a deep question." 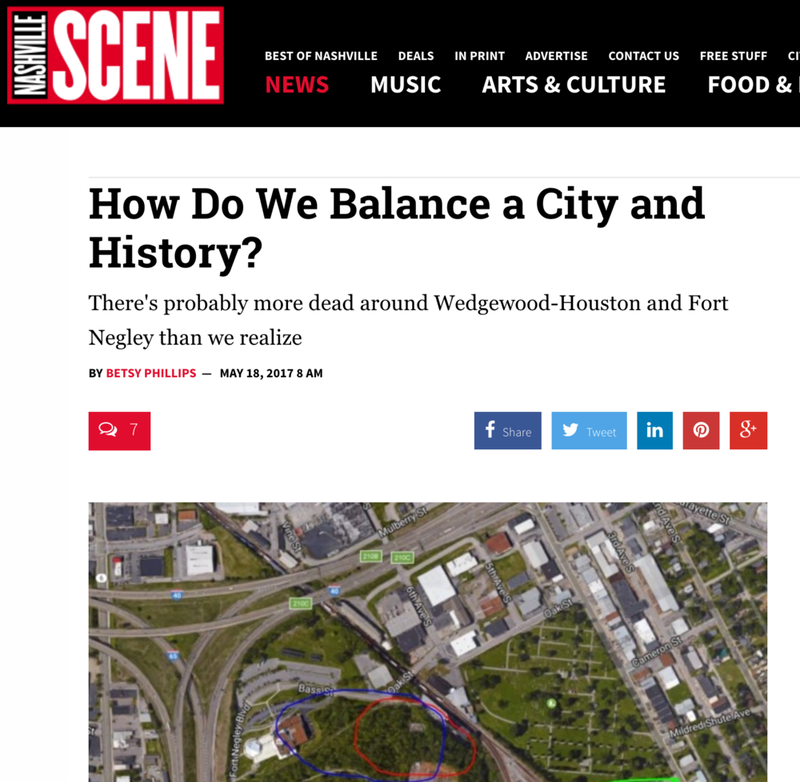 "This former Greer Stadium property is adjacent to two major institutions: the Adventure Science Center and a hilltop Civil War site, Fort Negley. The development’s proximity to the old Union stonework draws some concern." "However, some are fighting to protect the area around Fort Negley. “Friends of Fort Negley" is calling on the metro council to consider this land for more green space, instead of another development."